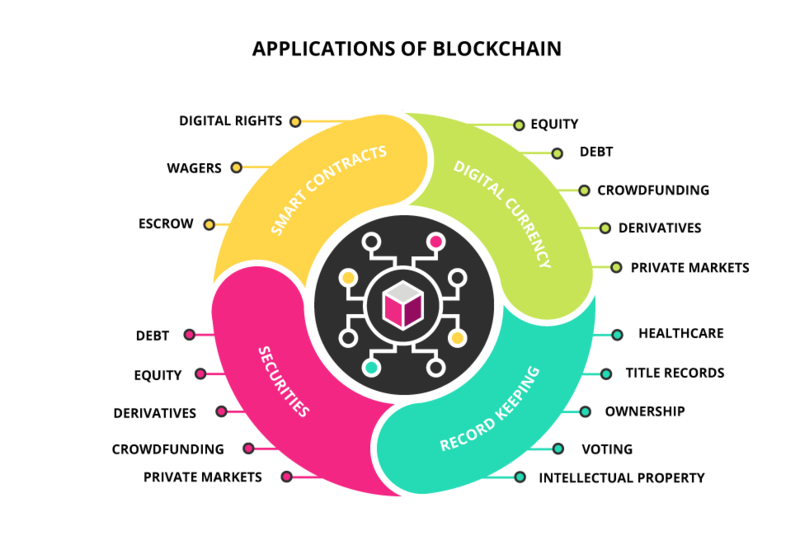 Blockchain allows businesses to send and receive payments through a programmatic set of rules called “smart contracts’’.5 These take expensive brokers, escrow agents, and other financial intermediaries out of the equation. Blockchain may be the backbone that allows cryptocurrency transactions to occur, but Bitcoin and Ethereum are just the start of what could be possible in the future. According to Dr Michael Yuan, Chief Scientist of CyberMiles, a foundational blockchain designed for commercial apps, “Future applications of this technology [could include] e-commerce marketplaces and applications, peer-to-peer finance and insurance transactions, content distribution, healthcare data exchanges, B2B accounting applications, supply chain, and customer service applications.”13 It’s a brave new world for businesses who are willing to embrace it. 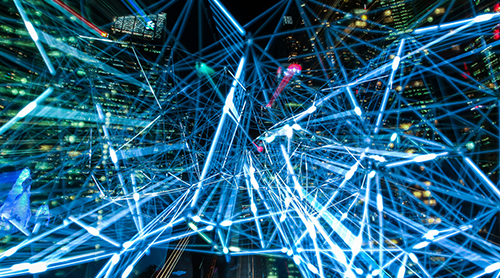 For early adopters and evangelists, the impact of blockchain is limited only by the imagination and effort of the visionaries who will use it to transform their organisations. 1 Misra, P. (Mar, 2018). ‘5 ways blockchain technology will change the way we do business’. Retrieved from Entrepreneur. 2 (Mar, 2016). ‘Blockchain: A new mechanism for trust—no intermediary required’. Retrieved from Quartz. 3 Marr, B. (Mar, 2018). ‘How blockchain will transform the supply chain and logistics industry’. Retrieved from Forbes. 4 Rampton, J. (Nd). 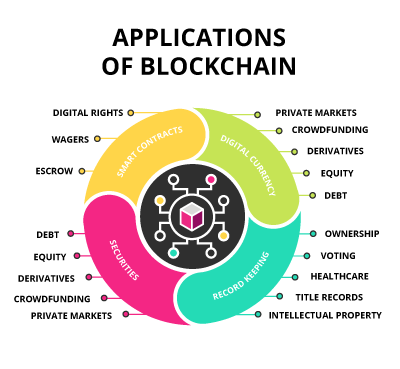 ‘5 applications for blockchain in your business’. Retrieved from The Economist. 5 Edwards, M. (May, 2018). ‘Why executives should care about blockchain’. Retrieved from Concannon Business Consulting. 6 (Nd). ‘Definition of smart contracts’. Retrieved from Investopedia. 7 Edwards, M. (May, 2018). ‘Why executives should care about blockchain’. Retrieved from Concannon Business Consulting. 8 Morgan, S. (Oct, 2017). ‘2017 Official Annual Cybercrime Report’. Retrieved from Cybersecurity Ventures. 9 Kharpal, A. (Jun, 2018). ‘Everything you need to know about the blockchain’. Retrieved from CNBC. 10 Orcutt, M. (Apr, 2018). ‘How secure is blockchain really?’. Retrieved from MIT Technology Review. 11 Kharpal, A. (Jun, 2018). ‘Everything you need to know about the blockchain’. Retrieved from CNBC. 12 (Mar, 2016). ‘Blockchain: A new mechanism for trust—no intermediary required’. Retrieved from Quartz. 13 (Oct, 2017). ‘What’s All the Talk About Blockchain and Why Should I Even Care?’. Retrieved from Inc.